For the most part, school curricula change gradually, reflecting incremental changes in thinking over time about what’s important for students to learn. There are moments, however, when education should take exception to that rule. Now is one of those times. How much longer can we wait before recognizing that the social science of psychology warrants immediate attention and greater inclusion in school curricula? By inclusion, I mean much more than the subtle application of psychology as a lens through which students think about other school content. Specifically, we need to make students’ understanding of psychology more relevant and reflective of how deeply psychology is integrated in our daily lives. Psychology is the science of me and you, and it is widely relevant to virtually everyone. Shouldn’t young people be learning this science in school, rather than gathering random psych factoids from television and the internet? At present, it seems that science curriculums reflect a fusion of post-World War II enthusiasm for rapid industrialization, and 21st century anxiety that economies can only be saved by “outsmarting” competing economies. Thus we are “racing to the top,” even if it means rushing past content that has immediate relevance and applicability. If we are to teach chemistry, physics, and trigonometry as elements of core curriculum for university bound students, how are we to rationalize that psychology is not taught among that group? One of the reasons we continue to insist on the teaching of a “hard” science like chemistry is that we conflate the value of a subject with the value of learning that subject. For example, chemistry is a field of great value to society at large; we all benefit from chemistry in various areas of our lives. But should we extrapolate to conclude the same about the value of studying chemistry? I don’t think so. There are clearly analytical skills acquired in learning this subject, but to what extent are they an indispensable aspect of adult competence – especially when compared with psychology? Exactly how many college majors or careers require a foundation of knowledge in chemistry? If you are a chemist, or the parent of a chemistry major, I’m sorry to have picked on this one subject – it is but a single example of skewed priorities in contemporary education. Over the past decade, we have seen that one particularly large group of school children is in immediate need of greater psychological insight – boys! 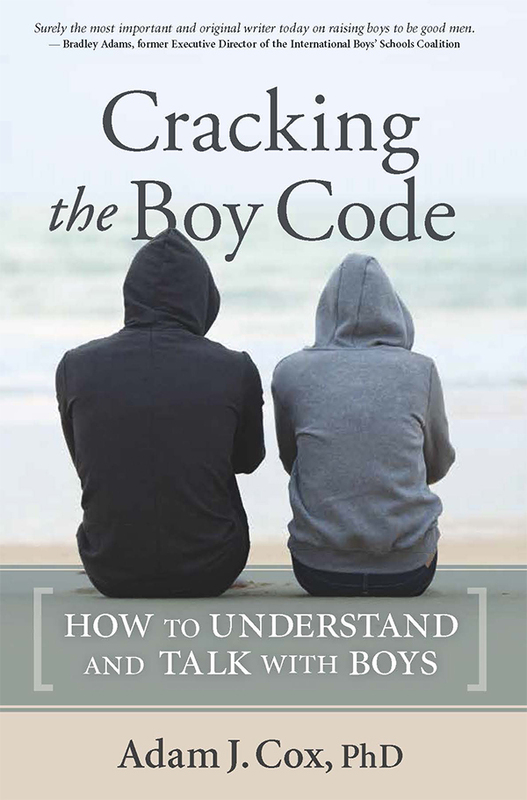 The common denominator for many of the broad social concerns we have about boys and young men has to do with their frequent lack of communication skills, poor self-regulation, and limited social intuition. Clearly, these are desperate times for a great majority of boys and men. All of these skills are increasingly indispensible to making one’s way in the world. We may give some small acknowledgement to these factors in boys’ lives, but not nearly enough. It seems unfathomable that we’ll continue to relentlessly emphasize aspects of advanced math and science, while practically ignoring a more formative body of knowledge, essential to living effectively in our world. The urgency of this issue surfaced just two days ago in a widely publicized online debate co-sponsored by the online magazine Slate, and Intelligence Squared. The debate featured the journalist Hanna Rosin, author of an article for The Atlantic, “The End of Men,” and ABC News legal analyst Dan Abrams arguing for the proposition “Men are Finished.” Arguing against this proposition was American Enterprise Institute scholar Christina Hoff Sommers, and Men’s Health Editor, Dave Zinczenko. Before the debate began, audience members were polled and 20% were for the proposition, (“Men Are Finished”) 54% against, and 26% undecided. After the debate, 66% believed in the proposition, 29% were against, and only 5% were undecided. To make gender comparisons an issue of competition is to miss the central point, and is my main criticism of this online debate. After all, it is not as though genders are competing for resources – as though they are sovereign states, living apart. That sort of reductive comparison of male-female strengths and weaknesses has irked me for nearly a decade, and unfortunately leads us down a path toward arguing about the allocation of support, including funding and who deserves more attention. If we look, however, at the basic reality of boys’ increasing disinterest in attending a university, their difficulty using language to effectively negotiate social conflicts, and the increasing irrelevance of what boys spend their time on – their frequent lack of purpose and a focused direction in life – we can reasonably conclude that the outcome of the debate has the ominous atmosphere of reality. A key focal point for the United States’ emphasis on science and math is incorporated within the Science, Technology, Engineering, and Mathematics (STEM) initiative widely supported within federal government. STEM developed from the belief that US children were rapidly falling behind, particularly with respect to their Asian counterparts. It was and is believed by many that for the US to remain a viable corporate power, and source of global influence, US students had to rapidly catch-up. Doing so, would enable students to secure admission to prestigious universities, where they would study more STEM, and then get good jobs. But are there concerns and needs which come before the objectives of STEM? Are we at a time in our history when we need to address, head-on, the importance of young people having a basic understanding of human psychology? Consider, for example, the most influential application of technology to evolve within the US over the past decade. An application that has raced across the globe, affecting virtually everyone with a computer or cell phone. Of course, I’m referring to Facebook. Whatever your feelings are about the value of Facebook, it’s hard to argue with its pervasive influence on culture. And to what do we owe this massive influence and change? Should Facebook be thought of as an advance in computer programming, or does that miss the point entirely? What Mark Zuckerberg innovated was a way of integrating the nuances of interpersonal communication and psychology into our screen time. His insight and anticipation of how addictive this information would become for users is the essence of his genius. Should we respect the wisdom of children? Is it time for us to recognize that young people have strong intuition about the kind of content they need to be effective citizens in the world today. If we are to believe the insights of influential books, such as Malcolm Gladwell’s Outliers, then the critical issue to be addressed is not that a subset of children (boys) are unable to learn critical skills, but that they have not been given a fair chance to acquire them. Primarily, because they are not currently being taught with enough depth and veracity. Clearly this process begins with being given a chance to access this information in school. Schools are the primary community in a child’s life, and a key place in which children calibrate priorities and values. When schools explicitly value the learning of psychology and emotional intelligence, that priority influences student awareness. I believe that priority should be expressed without ambivalence in schools and school districts. On the plus side, helping students to become better versed in the field of human psychology is more than likely going to increase their motivation to attend school, and to apply effort. Why? Part of the reason so many young people, and especially boys, feel disenfranchised by school is because they cannot make a connection between school content and their personal experience. What better way for schools to address every individual’s personal experience than the teaching of psychology? A psychology curriculum for young people would be less focused on psychology’s history of experimentation in cognition, perception, and sensation than it would be on selfhood and human development. These are the topics that have gravitas for the young, and help them to bridge academic content with personal relevance. Schools and their curricula may be slow to evolve because prudence suggests that is the proper path. However, there is no shortage of data to suggest that creative action would yield valuable results.If you need more proof, make sure to check out Richard Florida’s astounding analysis of the relationship between social skills and vocational success in the current issue of The Atlantic . What additional information do we collectively require to be persuaded that psychology and emotional intelligence are high-priority topics that should be taught, beginning at the primary school level – just as we teach elements of biology and fractions at this level. As adolescence arrives, kids’ lives are full of scenarios that would enrich the learning of psychology. Where teenagers are concerned, they are especially interested in personality and learning differences. My own research has found that young people are intensely interested in their own coming of age. They want to be able to talk about this, and they want their schools to have a vested interest in this hugely important personal process. As you may know, one of the big changes in how young people construe school in the 21st century is that they no longer make clear distinctions between what is learned at home, and what can be learned in school. By extension, many young people assume schools will take a vested interest in their personal development. Teaching psychology provides both a structure and a focal point for demonstrating that type of concern. I recognize that organizations such as the American Psychological Association have been advocating for the inclusion of psychology in school curricula for more than a decade. I salute those efforts. However, we can no longer afford to patiently debate the relative value of taking this action. It’s time for us to assertively and creatively move toward including psychology in all school curricula, public and private. We do not need an extensive study; evidence of the consequences of poor self-awareness abounds. And we do not need the approval of parents – because they are already widely aware of the necessity of teaching psychology, and would immediately applaud our efforts. When I’m able to offer public presentations on social communication skills, hundreds of parents turn out, not just in America, but in Australia, New Zealand, South Africa and the UK. 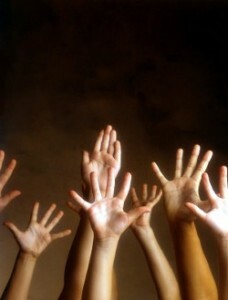 Worldwide, parents are eager to join this dialogue and advocate for their children. I’m asking for your help. If you have any opportunity to bring a “big picture” topic to your school community this year, I strongly encourage you to make that focus a greater inclusion of psychology and emotional intelligence in school curricula. Not only are these important topics for classrooms, they should also be reflected within school groups, co-curricular activities, and of course, school counseling centers and guidance offices. Taking this essential step gives us an immediate opportunity to decrease the fallout currently taking place within education. How many more lives could be kept on track if we made the challenges of life itself a required subject in school?